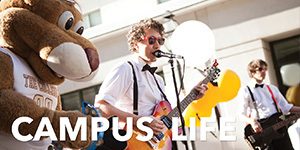 How can I register for Maymester/Summer classes? What is the deadline for signing up for courses? Are there any requirements to take courses during Maymester or the summer sessions at the College of Charleston? What courses are available for each semester? I want to take a class at College of Charleston but I don't know whether it is equivalent to a course at my home institution. How do I find that out? In order for me to take a course, I need to submit either a course description or a syllabus for approval. Where can I get these? Why does your office require a transcript? How do I know what you are offering and if the class is full? A class is full and I want to take it. Can I get an override? Can I take a course if I do not have the prerequisites set by your institution? I decided that I want to take additional courses. How can I do this? If I decide not to take a course, what do I do to drop the course? It is past the drop/add period for the session and I don't want to take the course anymore. How do I drop the class? I know the College has a "Drop for Non-Payment" Policy. Does this mean that I don't have to drop or withdraw from my course if I haven't paid and don't want to take the course? How can I audit a summer course? Are there any restrictions on the courses that I can audit? How can I choose to take a course as Pass/Fail? Are there any restrictions on the courses that I can take as Pass/Fail? I am a parent of a student who is looking to take/taking summer courses. Can I call about their application/grades? After I finish my classes, how do I make sure they are transferred back to my home institution? I am a visiting student and I want to take courses, but I cannot pay within the five (5) business days. Can you hold a spot for me? Why was I dropped anyway? I went to pay online and there was a $45 convenience fee. Why is this not included in the calculations for tuition and fees? How do I go about getting Financial Aid? If I change my mind about taking a course after I have paid, can I get my money back? How do I get this refund? How can I register for Summer classes? 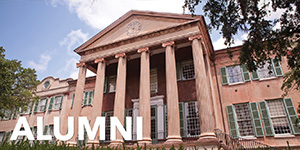 Current College of Charleston students can register through MyCharleston. Undergraduate visiting students must apply online. Please pay attention to the start dates for each session, as we cannot sign anyone up after the first day of class. Normal applications take 1-3 business days to process once we receive them with the proper documents. If you are signing up for any business courses or any course with a prerequisite, signing up may take longer, depending on the availability of the professor who will approve the course. Drop/Add is the first day of class for each of the Summer terms, so that is the absolute last day to sign up for a course. However, we recommend early registration, especially since there may not be seats available the longer you wait. Are there any requirements to take courses at the College of Charleston for the summer sessions? Any student wishing to take summer courses with us must have at least a 2.0 GPA at their home institution and must fulfill any individual course prerequisites. In addition, if the student has attended the College of Charleston before, they must have at least a 2.0 with us as well. We have a full course listing here. Please note that these courses and their availability are subject to change at any time. Your advisor or your advising center will be able to find out the equivalent course needed. Please check to make sure your courses will transfer to your home institution as expected before signing up, as we cannot guarantee transfer. 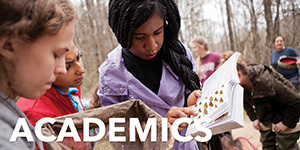 For course descriptions, you can access the Undergraduate Catalogue here. If it is a special topics course, you should contact the professor or department it is listed under. 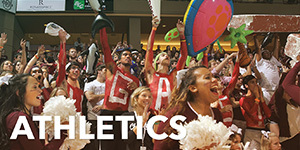 We have a directory on the cofc.edu homepage. For syllabi, you will need to contact the individual departments, as we do not keep syllabi on file here. Most of the time, we require a transcript so that we know whether you have the correct prerequisites to take a course. If there are no prerequisites to your course, we still use the transcript for individual grades and overall GPA. Unofficial transcripts are no longer being accepted. Your application will not be processed without an official transcript. Our course offerings are available via the dynamic schedule . First choose "2016 Summer" in the drop down box and click on the submit button. When the "Class Schedule Search" template for summer 2016 appears, first choose a department or program in the "Subject" drop down box and online in the "Session" drop down box, then click on the "Class Search" button near the bottom of the screen. When a list of courses appears after these actions, please click on the link to each course section listed to determine seat availablilty. If the "remaining seats" count for a section is greater than zero, then a seat is available for that course. We recommend that you watch the course for openings rather than trying to get an override. This is especially in the case of lab courses, as there is only so muchlaboratory equipment available. The prerequisite courses are set by the departments so that you are fully prepared for the information that the course presents. Since our summer terms are short, we do not recommend that you take courses without the prerequisites. Most often professors will not allow any student in a class without the proper prerequisites. If you are a visiting student, please do not attempt to register for any additional courses. We must have a way of tracking what you take and we cannot do this if you register yourself. Please contact the Summer Sessions Office by e-mail to add courses. If you have used My Charleston before, you are free to use the system to drop the course. Be sure to e-mail our office to let us know that you have done so. You can e-mail our office and ask us to drop you from the course too. Be sure to include the summer term you are enrolled in, as well as the course name, number, and section. To set up a tuition refund please contact the Treasurer's Office at 843.953.5572 after you have dropped the course. After drop/add, any deletion from the roll is considered a withdrawal, as long as it falls within the posted withdraw dates. You must withdraw FIRST before you attempt to get any refund. There is a prorated refund schedule for each semester that will tell you how much of your tuition you will be able to get back. Any refund questions should be directed to the Treasurer's Office. I know that your college has a "Drop for Non-Payment" Policy. Does this mean that I don't have to drop or withdraw from my course if I haven't paid and don't want to take the course? You should never rely on the system to automatically drop you. If you do not plan to take the course, it is your responsibility to drop or withdraw from it. In addition, there are only certain dates that have automatic drops so if you register after this, then the drop will not affect you. An audit is when you take a course but you receive no grade or credit for the course. This is an option for people who wish to review a subject but do not wish for it to affect their GPA. Full tuition is charged for audited coursework. In order to audit a course you must first register for the course. After this you will need to fill out the audit form available here and get your professor to sign it. This must be completed and turned into the Registrar's Office on or before the drop/add period. This is the first class day in Maymester or any summer term. Any forms turned in after this point will not be accepted. You may audit any course on our summer schedule except for studio art courses. Please see the current Undergraduate Catalog for more information. 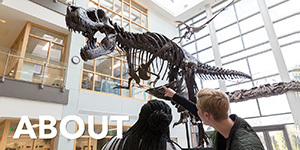 Pass/Fail is provided to encourage students to venture outside their major areas. The student will receive earned hours but no quality hours or quality points. A student wishing to take part in this must be in good standing and must be a sophomore or above. Pass/Fail is not intended for major/minor/general education requirements. In order to take advantage of the Pass/Fail option you must first register for the course. After this you will need to fill out the Pass/Fail petition available here and have your professor to sign it. This must be completed and turned into the Registrar's Office on the first day of class in Maymester or any summer term. Any forms turned in after this point will not be accepted. You may take courses as Pass/Fail unless you plan to use them for your major/minor or general education requirements. Please see the current Undergraduate Catalog for more information. According to FERPA guidelines, the College of Charleston cannot release any information about a student's records without the student's written permission. However, the student can give you access to those records by either filling out an end of semester grade release form or a information release form in person at the Registrar's Office. In order for your home institution to receive your grades, you will have to request an official transcript from the Registrar's Office. Please see their site for information on how to request an official transcript. The Summer School Office cannot hold a spot for any student, current or visiting. I called the Treasurer's Office and they said I had more time to pay than the five (5) business days. Why was I dropped anyway? College of Charleston students have a different pay schedule than visiting students. Unless you tell the Treasurer's Office, they will not know that you are a visiting student. Please follow the instructions given on the registration confirmation e-mail. I went to pay online and there was a convenience fee. Why is this not included in the calculations for tuition and fees? This fee is only charged when a student pays with a credit card online for a course. This is not a tuition fee and it is required for online processing of credit cards; thus it is not listed with the normal tuition and fees. Students paying in person at the Treasurer's Office or by check online are not charged this fee. 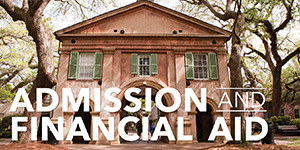 If you are a College of Charleston student, please contact the Financial Aid Office at 843.953.5540 for any scholarship or loan questions. Note that the Summer semesters are grouped with the previous Fall and Spring, so if you received the maximum aid for that year already, you may not be able to use it in the Summer. Visiting students and students starting in the Fall are not eligible for assistance from our institution. As long as you drop the course by the first day of class, you will receive a 100% tuition refund. However, if you paid online, the convenience fee is non-refundable. After the first day there is a prorated refund schedule which you can find here. I dropped/withdrew from a course and I am eligible for a refund. In order to receive a refund for any course, you must contact the Treasurer's Office AFTER you have dropped or withdrawn from the course. Please make sure you are aware of the refund schedule before you drop or withdraw.